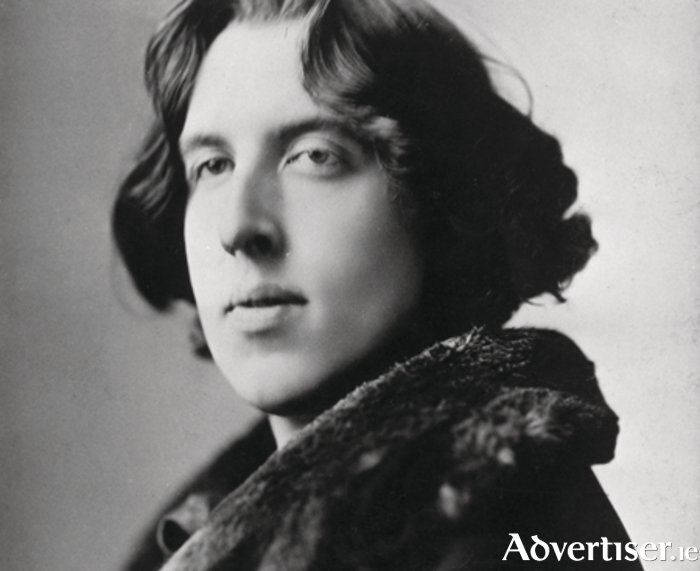 Galway’s Oscar Wilde Festival takes place next weekend for its third year, from Friday, September 4, to Sunday, September 6. The festival boasts a packed programme and will see Wilde experts and enthusiasts gather to celebrate his life and work in a west of Ireland setting. Among the guest speakers at this year’s event is Michael Seeney of the Oscar Wilde Society in London, who is widely recognised as the ‘go to guy’ for all things Wilde. His vast knowledge makes him a valuable guide for scholars around the world who regularly turn to him for his insights. On Saturday, September 5, Seeney will give an illustrated talk on Wilde's image and how it has been used over the last 100 years, with plenty of funny examples. The talk, which is free, takes place at 5pm in the John B Keane suite in the Harbour Hotel. Ahead of his Galway visit, Seeney took some time out to share his thoughts on the festival and on Wilde’s work: “The Galway festival is a wonderful way to celebrate Wilde and this year’s programme has a varied flavour of events for those who are Wilde fans and those who maybe are new to his work or life,” he says. “I’m looking forward to coming back to Galway and I hope to take in more sights this time too. I’m particularly looking forward to visiting Sir Edward Carson’s childhood home in Athenry. This link to Wilde is particularly fascinating. I wasn’t aware that Carson had Galway connections. I’m also looking forward to seeing the film of An Ideal Husband. I think the Wilde Walking Tour of Galway City will be particularly enjoyable. It’s going to be a great weekend for Wilde fans." One of the interesting insights which Seeney offers on Wilde’s work is his comparison of how it has been viewed in the UK and continental Europe. "Wilde has always been highly regarded across Europe but for different aspects of his work in different countries,” he notes. “In Britain his reputation as a playwright has long been secure, but he’s now being taken much more seriously as a critic. There are practical reasons for that to do with language. The comedies don’t translate very well. It’s not easy to get English puns into other languages, so most of continental Europe was quite late in catching on to the comedies. "Germany managed it by translating The Importance of Being Earnest as Bunbury. In Spanish it was quite unfortunate really because they translated it as The Importance of Being Franco, which probably worked in the early twentieth century, but got a bit difficult later. Salomé was very popular across the continent with lots of early productions in Germany, France, and Italy. His serious work was very popular and was translated very early on, like The Soul of Man Under Socialism. How would Seeney himself rate Wilde’s serious writing compared to his comedies? “We have to accept the fact that the comic writing was, although he was a tremendously humorous man, essentially done as a way of earning money,” he replies. Wilde got through a lot of money. He needed a lot of money and the West End stage was a much readier source of income than serious writing. It’s very difficult to know in what vein he would have continued had he not gone to prison. The festival will also host the Irish launch of Seeney's book From Bow Street to the Ritz, Wilde's Theatrical Career from 1895 to 1908, which will be published a few days before the festival begins. The book launch will take place during the festival opening on Friday, September 4, at 5.30pm in An Pucan, Forster Street. Sweeney reveals why he was interested in this period. “The period is easily defined as the years between Wilde’s trials and imprisonment, and the year in which the first Collected Works was published and the copyrights had been returned to the family. It interested me because biographers have assumed that Wilde’s plays were not performed during that period and I thought it couldn’t be true. What can audiences look forward to from Michael’s talk on the use of Oscar’s image and did he encounter many strange usages of it? “Nothing surprises me any more,” he declares. “In 1882 his face was used to advertise a ‘bosom beautifier’ and Warner Brothers used him to advertise corsets. Even the excesses of today don’t really come close. There is everything there really. "I have a cabinet on my wall which has got watches, cigarette lighters, playing cards, stamps, mugs, cups, practically anything you can name that would normally be sold as a tourist souvenir with Oscar’s face put on it. A lot of them are modern but, certainly in America when he was touring there in 1892, there were cards issued with his image on them. Is Bernie Sanders the man to beat Trump? Why see a destination when you can experience it? Page generated in 0.0907 seconds.